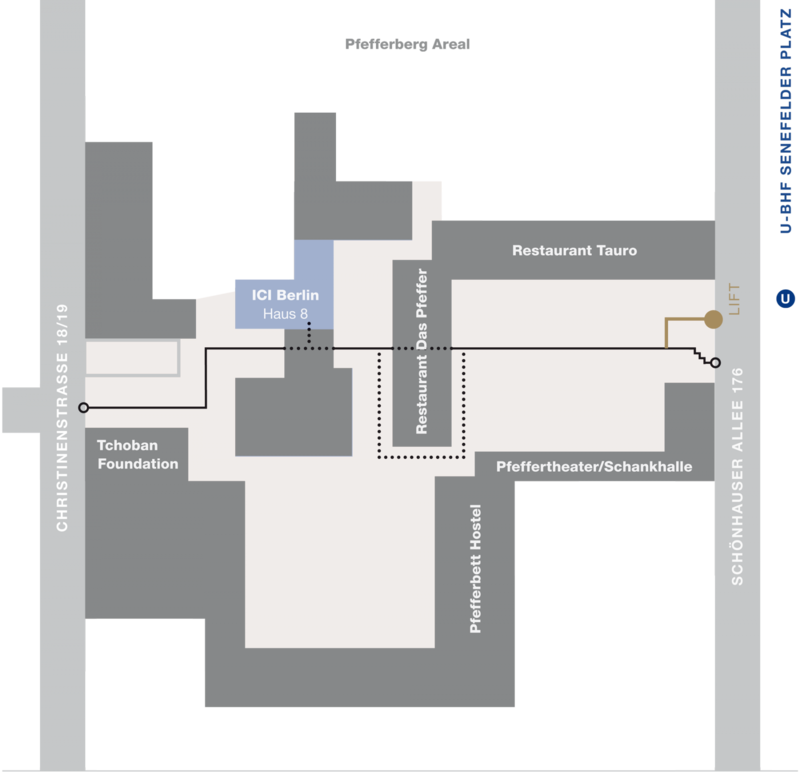 The ICI Berlin is situated in Prenzlauer Berg on the border to Berlin-Mitte within the Pfefferberg area, a former brewery site. The Institute is located in building 8 (Haus 8). 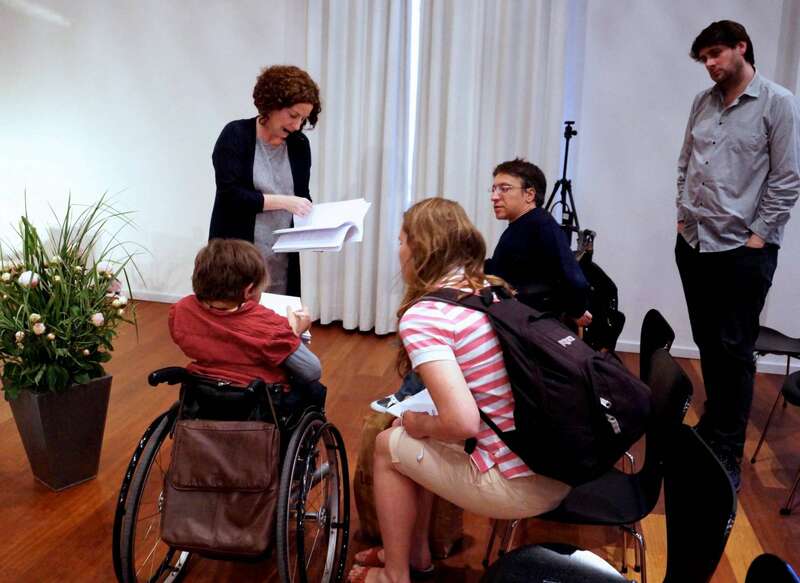 The Institute’s facilities are wheelchair-friendly but their navigation might require some assistance; please contact our Event Management ahead of your visit. The entrance door to building 8 is equipped with an electronic door opening system. A barrier-free elevator leads to the ICI facilities on the 2nd and 3rd floors. The elevator is equipped with tactile writing. Should it be needed, a parking slot is available in the Pfefferberg area. For people with restricted hearing or seeing abilities ICI Staff can suggest and reserve seats in the lecture hall. Restroom facilities for people with reduced mobility are located on the 2nd floor. ICI Staff can recommend barrier-free restaurants in the neighborhood for conferences that last all day. We strive to design our website to be as barrier-free as possible and appreciate recommendations on how to improve it.